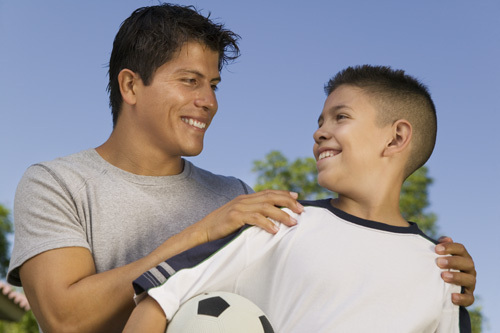 The Parent Project helps parents learn effective prevention and interventions techniques in dealing with childhood behavior problems. It offers six-to-ten week training programs for adult and teens that address choices and consequences, out-of-control behavior, school performances, and other issues. Parent Project Junior is an eight week class that focuses on parenting the strong-willed verses the compliant child, clarifying rules, coping with children's emotional choices, active supervision, working with a child's school, improving school performance, effective timeouts, and consistency. Children are instructed in conflict resolution skills and the Why Try curriculum. A ten week parent training program designed for parents with at-risk, strong-willed or out-of-control adolescent children. Parents attend and learn in a classroom setting to manage teen behavioral problems at home. While parents are meeting in one classroom, the teens meet in another. The teen class follows the Why Try curriculum, which focuses on choices and consequences. Teens also participate in community service projects. Learn to have a positive relationship with your child -- never argue with each other again!